Located near Palm Springs, 2 hours from Los Angeles and San Diego. Serving Lunch, Happy Hour and Dinner. The Wines of his Childhood home. 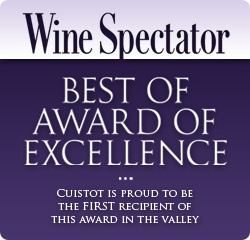 Cuistot is proud to have the only wine list in the Coachella Valley to have earned the Best of Award of Excellence from Wine Spectator Magazine every year since 2005. The list is also the Valley’s only recipient of Wine Enthusiast Magazine's Award of Unique Distinction. With 350+ wines and over 140 choices under $75, the list offers great values at all price points. The list features wines from top US producers such as DuMol, Peter Michael, Marcassin, Kosta Browne, Sea Smoke, Williams Selyem, Saxum, Blankiet, Amuse Bouche, Quilceda Creek, Continuum, Plumpjack, Opus One, Bryant Family, Merry Edwards, Ridge, Occidental, Anderson’s Conn Valley and many more. The selections from France include wines from Alsace, the Loire Valley, the Rhône Valley and Burgundy made by iconic producers such as Beaucastel, Vieux Télégraphe, Georges Vernay, Faiveley, Louis Latour, François Lamarche, Paul Pernot, Château de la Maltroye and Domaine de la Romaneé-Conti as well as the Bordeaux châteaux Montrose, Pichon Longueville Comtesse de Laland, Pontet-Canet, Margaux, Léoville Barton, Lynch-Bages, Mouton Rothschild and Lafite Rothschild. 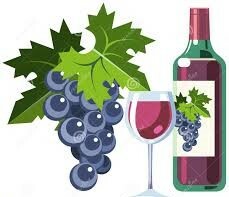 We look forward to helping you select a great bottle of wine to compliment Chef Bernard’s cuisine. Receptions and Dinners for up to 320 Guests. from our Regular Dinner Menu. Bernard was born in Condrieu, France in 1953. His family operated a farm and this is where Bernard gained his appreciation for fresh, tasteful food. His father wanted him to pick up a trade, so at age 13, he became an apprentice charcutier and worked in Vienne until 1972. He worked under the direction of Chef Paul Bocuse in Lyon, France from 1972 to 1974 as a cuisinier and with Roger Verge in Le Moulin de Mougin. Bernard was sent by Paul Bocuse to the United States in 1974 to work at Le Francais in Wheeling, Illinois as a saucier/sous chef under the supervision of Jean Bachet. He then worked at the Pump Room in Chicago, Illinois from 1978 until 1980 as Executive Chef. Bernard was hired in 1980 at the Beverly Hills Hotel at the recommendation of Wolfgang Puck. He was Executive Chef at the hotel until 1986. 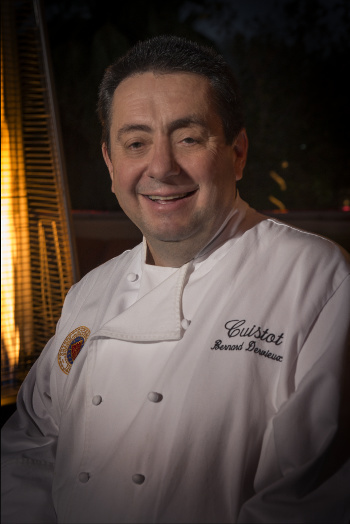 After leaving the Beverly Hills Hotel, Bernard went to the Grand Champions Resort in Indians Wells and also to Aspen, Colorado serving as Executive Chef until opening Cuistot in 1987. When you have a thriving restaurant, widely regarded as one of the best, even perhaps the best in the desert, why on earth would you want to move? A Chef’s life is stressful enough! To take on the extra challenge of moving everything from a well-established location to a totally new venue seems like a choice of a workaholic run amok. But the opportunity to purchase the land at the intersection of two of the most traveled and renowned thoroughfares in the desert only presents itself once in a lifetime. So in 2003 Bernard and his wife Susan broke ground on their new location. The building incorporates a rustic French farmhouse theme conceived by the Dervieuxs and executed by Design Development in Agoura Hills, CA. Spacious dining areas are separated into four major rooms to accommodate up to 290 diners, including 80 on the heated, outdoor terrace. For private parties there is a comfortable Wine Room which seats up to 40. The largest dining room features a giant fireplace reminiscent of the one in Dervieux’s childhood home near Lyon, France. Bernard’s Room overlooks the gleaming exposition kitchen for those wishing to experience the creative energy of the Chef and his staff in action. Please use the above "GPS Address" when using GPS. © Copyright Cuistot Restaurant. All rights. reserved.